Designed for workgroups and departments, TL-SL5428E from TP-LINK provides full set of layer 2 management features. It delivers maximum throughput where you need it — to high-performance workgroups at the edge of the network, or as a backbone for Fast Ethernet switches and high-speed servers in demanding small networks. Moreover, TL-SL5428E switch also comes equipped with 2 combo SFP slots, giving you greater network flexibility. 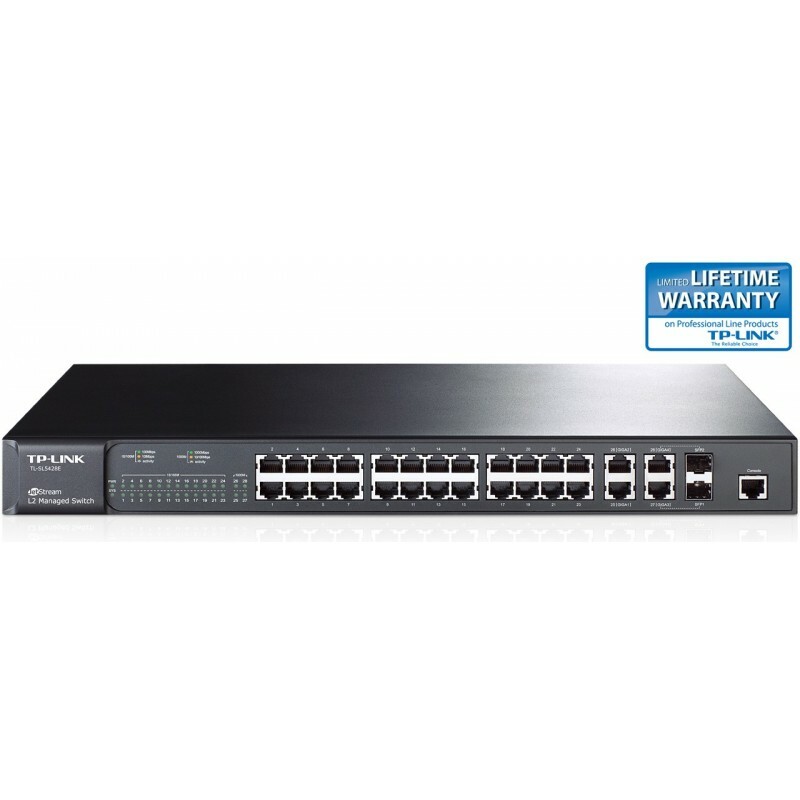 This TP-LINK L2 managed switch has robust security and management features. An advanced Access Control List（ACL，L2 to L4) and the TP-LINK strong safeguard provide security coverage from core to edge and protect against broadcast storm, ARP and Denial-of-Service(DoS) attacks, etc. Quality of Service (QoS, L2 to L4) provides enhanced traffic management capabilities to move your data smoother and faster. Anymore, the easy-to-use web management interfaces, along with CLI, SNMP and RMON, mean faster setup and configuration with less downtime. For workgroup and departments requiring cost-sensitive Layer 2 Switch, and additional Gigabit capability, TP-LINK L2 fully managed Switch TL-SL5428E can provide you the ideal access-edge solution. The TP-LINK fully managed L2 switch TL-SL5428E provides non-blocking switching solution for a 10/100 fast Ethernet connection. As to the switching capacity, TL-SL5428E has a non-blocking aggregated bandwidth of 12.8Gbps. It provides 24 10/100Mbps ports and 4 gigabit 10/100/1000BASE-T ports. In these gigabit copper ports, two of these ports are combo gigabit ports, which will be disabled if the corresponding 1000BASE-X SFP slots are used. 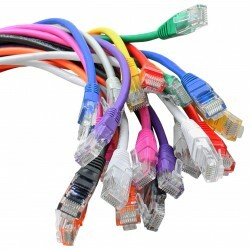 It can give you greater network flexibility.